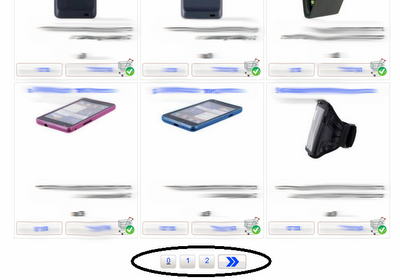 While browsing in a mobile eCommerce site, I found something I haven't seen before and which I think quite amusing. Recently I've look into this blog statistics and saw the usage by browser type. I was surprised to see that IE has less than 9% share. Yes ! less than 9 percent. The second surprise hit me when I looked in the usage by operating system. Few years ago, when Firefox just arrived, the trend of MS losing its power just began, however, MS was still the dominant player. That made me wonder if we are already in a time where MS empire lost its power or is it just a mirage..? After a quick search I've noticed there are significant differences between sites. For instance, in w3schools.com, another developer oriented site IE was ~18% . I guess we could find the opposite statistics on mainstream news oriented sites. It appears that each site has it's unique characteristics based on its audience. So I guess now it is the right time to put the famous quote "There are Lies, damned lies, and statistics", so whenever there is an opinion about the current market share in the browser domain, always try to find the origin and source and try to see if there is reference about the audience that research is based on. It might make the whole difference. I know it sounds obvious, however, as developers, when we think about new feature to develop, we tend to think in the terms, concepts and examples we borrow from our daily activities, such as the browser type, standards to use, etc.. and assume our clients will catch that gap sometime.. So my advice is that next time just stop a bit and ask yourself who your audience is? Try to have some statistics on them, so you'll have facts and not speculations and your opinion will be less biased. On March 14, 2012 SpringSource and VMware announced (and here) that the Spring 3.1 Release Train is complete. Added DeviceUtils and SitePreferenceUtils for convenient lookup of the 'currentDevice' and 'currentSitePreference', respectively. Wish you an easy upgrading! Recent article outlined the patent war that occur in the mobile arena. It's clear that every company in this market understand the importance of this market.